Reload Internet is a visa and passport photograph studio located in Paddington, London, that is here to help with your Georgian passport or visa application. We can take your Georgian passport photo or visa photo in our store, and our employees have been specially trained to ensure your photographs have the proper lightning and appropriate background recommended by the Embassy of Georgia, as well as meeting all of the specifications. We can print and prepare your Georgian passport photo or visa photo immediately after it has been taken. We aim to have our customers photographs ready within 5 minutes of their arrival at our store, as we know that applying for a Georgian passport or visa is extremely time consuming, so we do our best to help. 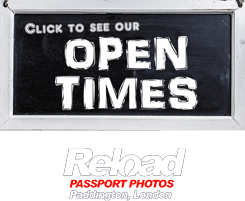 We are open 7 days a week at Reload Internet, and we open early in the morning and close late at night, meaning that you can come and have your Georgian passport photo or visa photo taken at a time that suits you. Our staff will provide you with a set of 6 photographs for just £9.99, these also come with a guarantee to be accepted at the Georgian Embassy, so you know that you’re getting a great deal! Watch the video to see how quickly we can produce your Georgian passport photo or visa photo, or to learn more information regarding the requirements. You must have a set of high quality photos if you want the Embassy of Georgia to accept your passport or visa application, and instant photo kiosks, home computers, and other similar methods of obtaining ‘passport photos’ may be unable to produce pictures that meet the standards required by the Embassy. We have had various customers whose applications were declined because they used such methods, and so paid us a visit to obtain a Georgian passport photo or visa photo meeting the correct specifications. Picking Road internet to attain your Georgian passport photo or visa photo can help you avoid delays that might arise with your application due to photograph errors. You should ensure that you have photographs which are clear and be used to identify you easily when you are using your Georgian passport or visa. Your photo must be sharp and in focus, with no visible red eye that can tamper with the quality of the picture and your photo must not be older than 6 months. A clear complexion is required in the photographs. Excessive makeup or anything that may tweak the facial features of the candidate may cause your application to fail. There can be no shadows on the face of the applicant or the backdrop, the background must also be white. We suggest that dark clothing is worn. 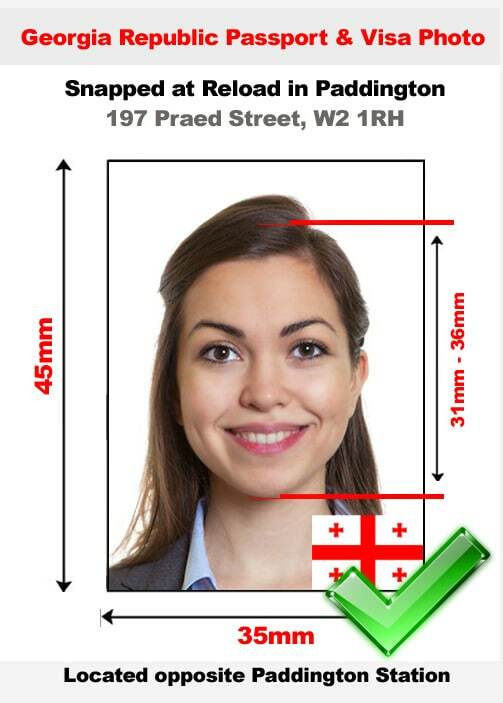 70-80% of the picture should be covered by the candidates face, size of your head on the physical copy must be between 31mm-36mm from the chin to crown. The candidate must have a neutral expression, eyes open, mouth closed, eyes looking straight into the camera, head squared and center to the camera alongside both ears clearly shown. Under religious and medical circumstances, headwear is acceptable. Full facial features must still be noticeable from bottom of the chin to the hairline of the applicant, as well as the edges of your face being clearly visible. The photographs must have adequate contrast and brightness, and it should also be printed on high quality paper at high resolution, photos that have been digitally edited won’t be accepted. If your photograph does not meet the requirements above, it might be declined by the Georgian Embassy; if you visit Reload Internet for your Georgian passport photo or visa photo then we can guarantee that this will not happen. We receive our specifications directly from the official Embassy of Georgia’s guidelines on passport and visa photographs, which can be found here.